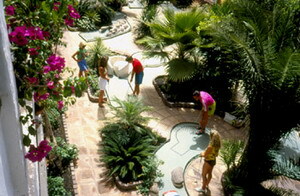 The Hotel Parque Tropical is a modern hotel set in subtropical gardens overlooking the sea on the Spanish island of Gran Canaria, 600 meters from the Playa del Ingles beach. 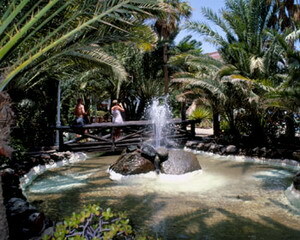 The hotel is one kilometer from the Casino Gran Canaria, three kilometers from the themed Western experience at Sioux City and 42 kilometers from Christopher Columbus's House and the Canario Museum. 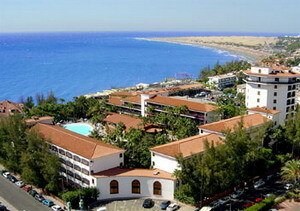 Las Palmas Airport is 30 kilometers from the hotel. 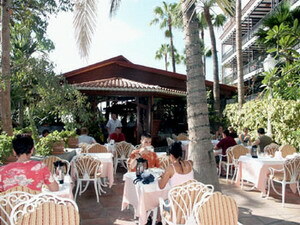 The Parque Tropical restaurant, with a tiled floor and timber roof, overlooks the sea and serves a Spanish and international buffet. 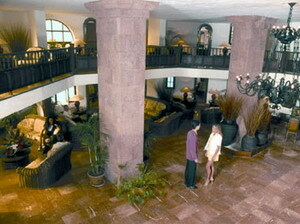 After dinner, guests can enjoy a program of live music and entertainment including flamenco dancing, or play a game of chess on the giant chess board in the garden. 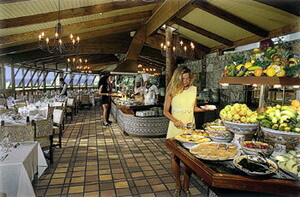 Guests can also pamper themselves with beauty services, a sauna, a massage room and a hair salon all available on site. High-speed Internet access is available in public areas for those who wish to keep in touch with friends or plan a sightseeing itinerary. 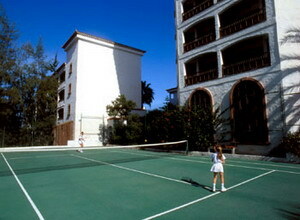 The hotel features a tennis court, mini-golf course, table tennis, billiards and a fully-equipped children's playground. 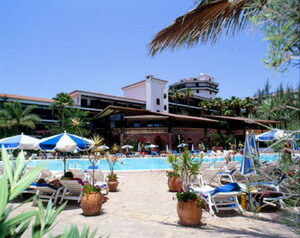 There are two swimming pools, one for adults with poolside bar and one for children. 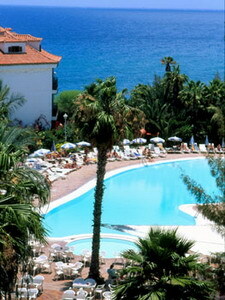 A full range of water sports are available at the nearby Play del Ingles Beach, including parasailing, sailing, windsurfing and diving. 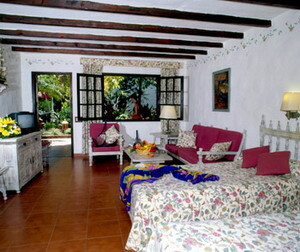 Guestrooms feature traditional Spanish décor with wood furnishings. 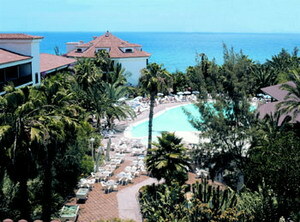 All are equipped with satellite television, refrigerators, direct-dial phones and hair dryers. 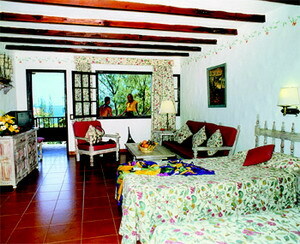 Each room has a balcony or terrace with views of the sea, the gardens or the city.